Welcome to the Austin Seven Special Register website for the Austin Seven Clubs Association. Collating information of both past and surviving around the world! We are interested in all Specials from factory productions to one offs from spare parts in your garage. We also like to hear from owners who class their 7 as a Special even if there is only an engine change or if you are replicating another vehicle. All Specials roadworthy and rotten from the past and present are welcome. Registration is free! An Online Registration form can be found on this site and also a range of currently registered Specials can be found on the Models page. If you want to trace an old Special don’t hesitate to contact us to see if we can reunite you with the current owner. 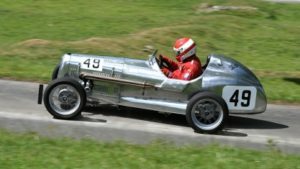 The register passes on vehicle information to the Austin Seven Clubs Association Surviving Chassis Register, in an attempt to record the Austin 7s which have been and still are on the roads around the globe. If you used to own or have built a special and would like to see if it currently on the register, please don’t hesitate to get in touch.